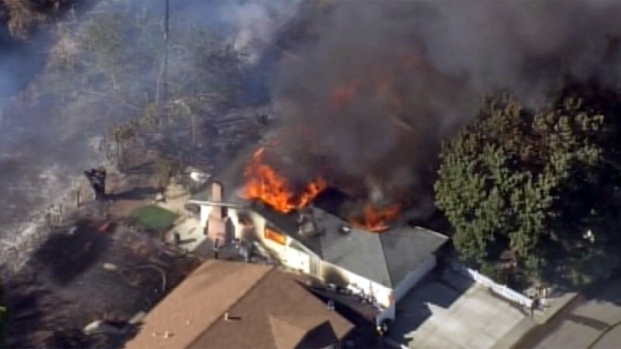 A 7-alarm fast-moving, wind-driven grass fire destroyed five homes and burned 10 others in a crowded neighborhood of Fairfield in Solano County. No injuries were reported in the Tuesday afternoon blaze that also prompted evacuations, officials said. And the cause is under investigation. Fairfield Fire Battalion Chief matt Luckenbach said the homes that burned are on Marigold Drive. 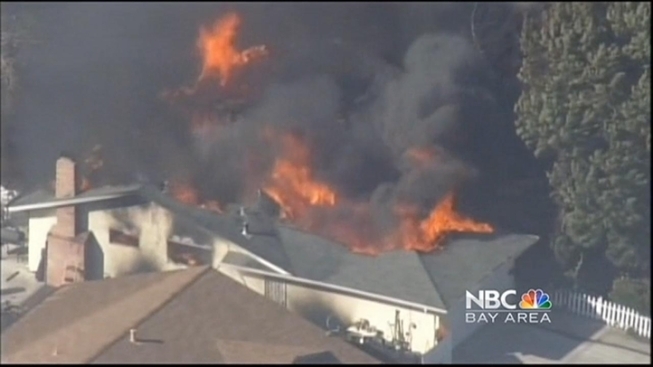 NBC Bay Area's helicopter flew over the neighborhood during the peak of the fire and showed several homes fully engulfed in flames. Some of the homes back up to Interstate 80, separated by a sound wall. Officials said some 200 firefighters from the cities of Fairfield and Napa, along with Cal Fire, and crews from Solano, Yolo and Contra Costa counties responded to the blaze. No injuries reported in 7-alarm blaze that destroyed several homes Tuesday in Fairfield. "Our personnel identified immediately that mutual aid would be needed because of the nature of the fire and the winds today," Fairfield Fire Chief Tony Velasquez said. "We received amazing support form the surrounding agencies, especially with everyone operating with very small crews right now." It appeared the grass fire jumped into trees and then spread to the homes. The first call came in at 3:30 p.m. The fire forced the closure of two lanes of eastbound I-80 for a time, according to the California Highway Patrol, but all lanes were reopened by 5 p.m.
Our helicopter flew over a destructive fire in Solano County. Traffic on the interstate slowed as drivers watched the thick black smoke drift from the burning homes and large trees. 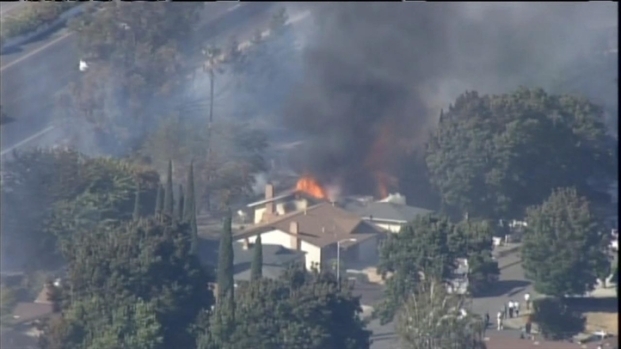 Officials said 50 residents were evacuated during the blaze, according to Fairfield Police Sgt. Rob Lenke. An evacuation center was set up at Fairfield High School. The evacuation area included Marigold Drive and an apartment complex in the 3000 block of North Texas. Fairfield is between the cities of Vallejo and Vacaville.